Scavenger Hunt is officially one year old today! In honor of this momentous occasion, I’m hosting my first giveaway to show my appreciation to all of you. I’m giving away five of my vintage patterns to one lucky reader! 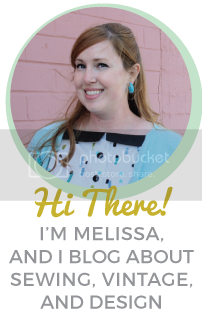 I’ve enjoyed this past year of blogging so much! After being a longtime blog reader, I’m so glad I decided to take the plunge and start Scavenger Hunt last year. I’ve learned so many new things in the process, been inspired and motivated to do my best, and met lots of awesome new people who share my passions! I appreciate every single comment and I’m so excited about each person who chooses to follow this blog. Thank you all so much! I have so many great things planned for the coming year that I can’t wait to share with you! 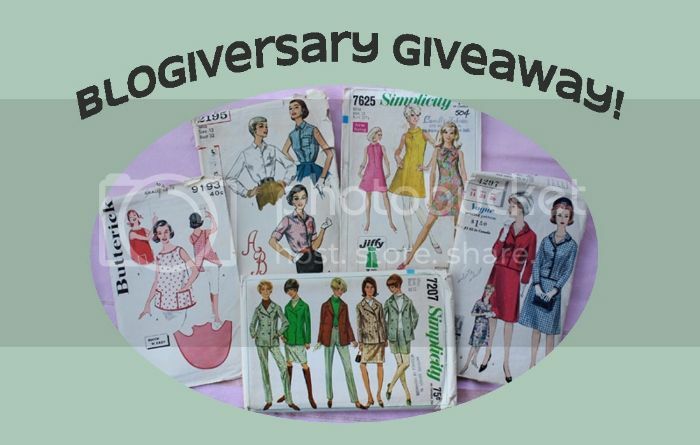 • The winner will receive all five of the vintage patterns pictured above. • The giveway will be open to anyone, worldwide. • To enter, please leave a comment on this post with your best tip for someone who is just learning to sew! • For a bonus entry, “Like” my brand-new Facebook page and leave a comment letting me know that you did. • This giveaway is open through June 30th, and the winner will be selected via random number generator and notified shortly after.